The best critic I received was for my pictures that I've shared in clayitnow instagram and facebook page previously. 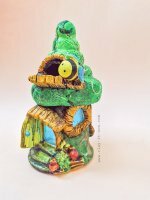 Some of you told me that my bee fairy house design is very nice, beautiful, creative, and authentic but the pictures were taken badly! ha..ha..ha...well, you know that I am a clay crafter not a photographer..LOL. Anyway, that critic encourage me to learn to take better photo and yeah...I took another shot and share my pictures again here. Thank you for giving me photo tips...you know who you are if you read this blog :). Alright! back to my claycraft now. Let me share my steps here. You will also need aluminium foil, tissue roll, white glue/ school glue, hot gun glue, water, paint brush, acrylic paints and air dry clay. 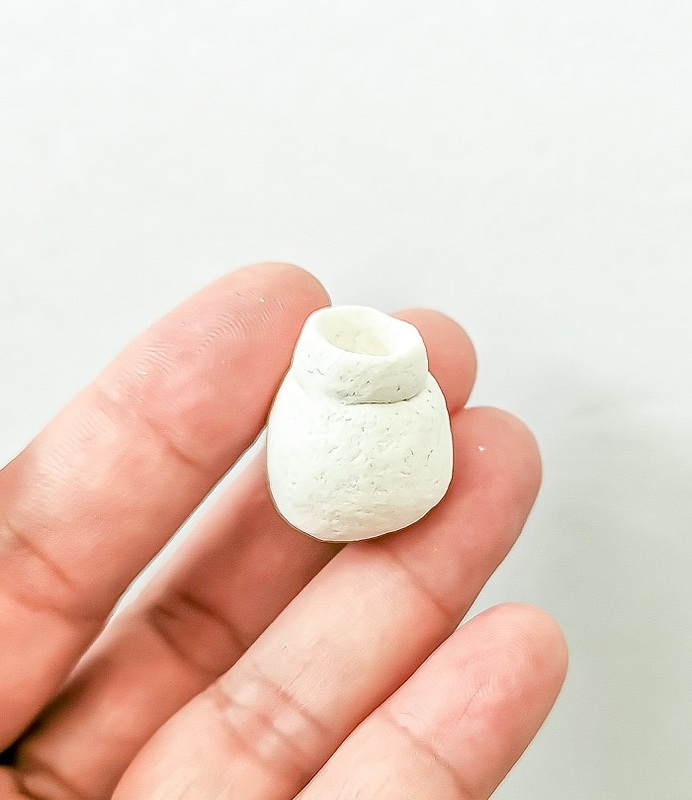 You can use any type or brand of air dry clay like DAS clay, Makin's clay, FIMO, Sculpey modelling air dry clay, Mont Marte air hardening clay, Crayola air dry clay, etc. ...etc...Or, cold porcelain clay. You can visit my page, what clay to buy for your reference if you are new in this craft. 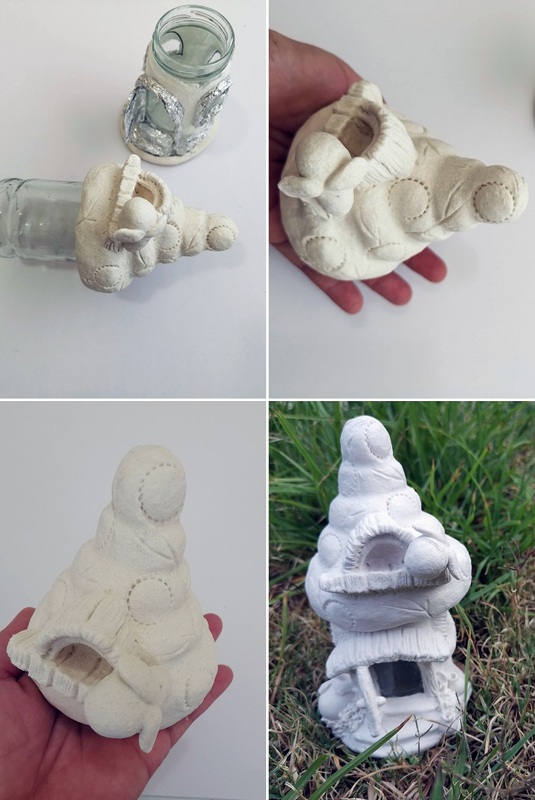 For me, I use homemade clay. Basically, I have mix my 2 recipes to make strong, hard and easy to handle air dry clay. First of all, I make couple of honey jars in different sizes with air dry clay. I have also added kind of overflow honey on top of the jar. Leave this honey jars to dry. You know the clay has dried when the colour turn to white, like plaster white. Let say, we start with the house first, you need to build up the shape of the base, door and windows. When the clay still wet, add in your dry honey jars (from step 1) here and there. 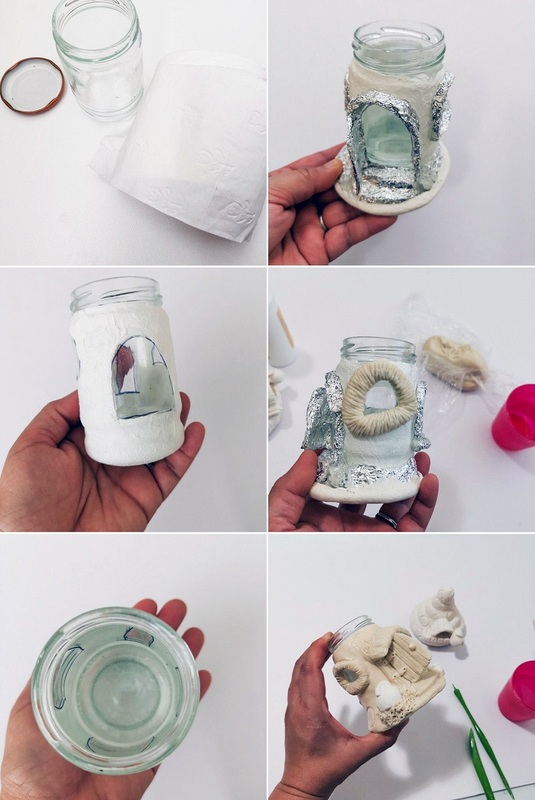 After you've finished covering the jar and all shapes with air dry clay, leave it until clay dry and move to the next step. Now, make the roof which looks like beehive. Create any shape you like, stamp it with anything to create texture and design on the roof. And, add a cute bee figurine. It's easy to make the bee. I would recommend you to watch my video for this at Clayitnow's YouTube channel. When you've finished with the roof, again, wait until the clay dry completely. Once the roof and the house dry, seal the clay with a thin layer of gesso universal primer and let the primer dry. 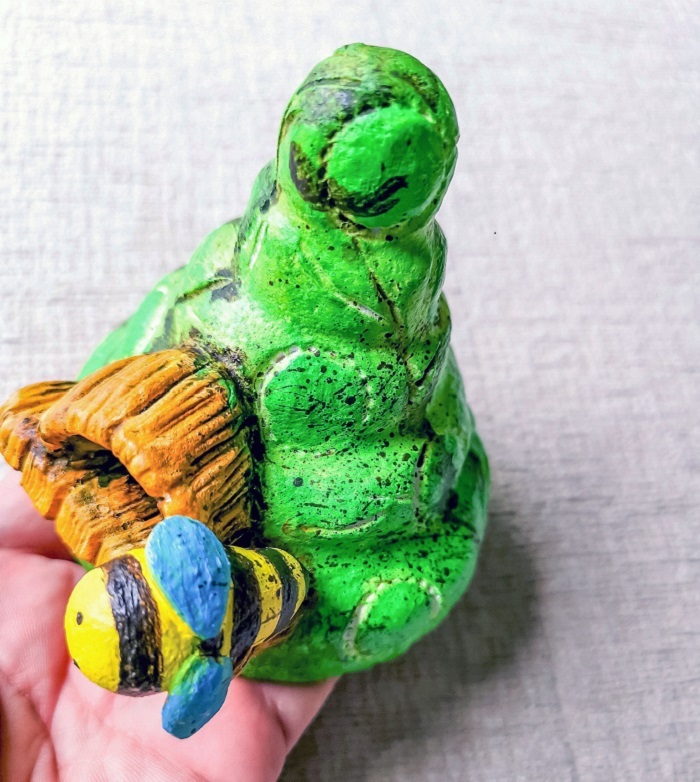 Final step is painting your bee fairy house! It's the most exciting step because you'll see your craft transform from plain white shape to a beautiful creation. And, there is no wrong or right in painting. As the artist, you are free to choose your color scheme of painting style. 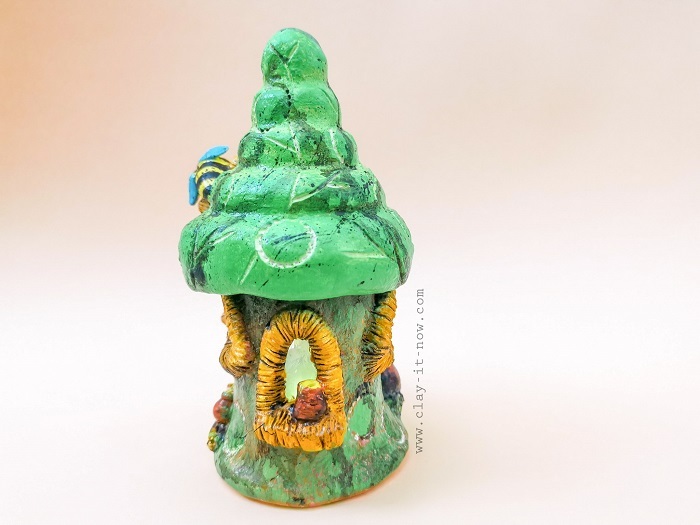 Uhm..we've done with our bee fairy house jar clay craft! You can see the back of the house in below picture. What do you think? Please go to my facebook page and share your comments or opinion. Thank you. Till next craft! Btw, click below picture or link to see my video.